I’m a Coach. I’m a Builder. A few days ago, someone who put a lot of hours in with me sent a quick message. It was an update of sorts. I think it was also a thank you letter. Either way, I’ve received a couple of these over the years and they always help me realize what makes my life beautiful. I’ve actually been coaching sports since I was 14 years old. The manager at my local tennis club saw something in me, liked my energy, and asked if I wanted to coach the younger players. I jumped on it and pretty soon, I was also giving lessons to the older country club ladies. That was my summer job for most of my teenaged years. Never quite got that deep, manly voice he was looking for but I definitely kept up with the coaching. I’ve always loved the rush of seeing someone accomplish something they had never been able to. I love witnessing the lightbulb/shock/celebration/pride when a player really FEELS a skill correctly for the first time. It fires me up. Throughout my 6 year professional indoor career, I was given the opportunity to coach juniors, adults and teams associated with the various clubs. I played one season in Croatia where I was ONLY a player. I couldn’t figure out why at the time but I wasn’t getting everything I wanted out of my life. I didn’t feel like I was doing the world any good by living to have people watch me bounce a ball off my body. I needed something more. I needed to feel like I was contributing to other people’s lives and not just entertaining them. Sure, there are athletes who inspire us to dream and do amazing things just through their magnificent play but that never felt like it was enough for me. After that year, I didn’t accept a playing contract unless the club found a way for me to coach. As a player, so many things can ruin my day. One over-set or missed serve to end a practice can make you question everything from your last meal to your very existence on this earth. One bad loss in a tournament and you want the world to forget you exist for a solid week. That feeling can last months if its the end of a season. Coaching, for me, can be therapeutic. It helps me realize that the earth does not revolve around me and that even when I’m feeling the worst about myself, I can still help someone else be stronger. BUT, if what I say or do sticks. If it makes you mad enough to have it linger in your soul. I’m OK with you not liking me anymore. I’m a coach. My calling in life is to help you become the best version of yourself. That means you may not always like what I have to say but it will come from a place in my heart that wants the world for you. Every now and then I get a nice reminder that my life holds some meaning. When players send letters like the one below, it strengthens my resolve and sense of purpose. At the end of the day, when I know I can wake up in the morning and help someone realize their dreams and their potential, I can rest easy knowing I’m doing what I was put here to do. This letter is unedited from one of my players. He’s 34, just had his best competitive season of volleyball… and he’s hungry. SO once again a HUGE thank you for last year!!! now the bad news :/ i had knee surgery in December! it was micro-fracture, trying to help some bad cartilage, the timing is not good unfortunately, I will be on crutches till mid feb and cant touch the sand til April! bummer.. 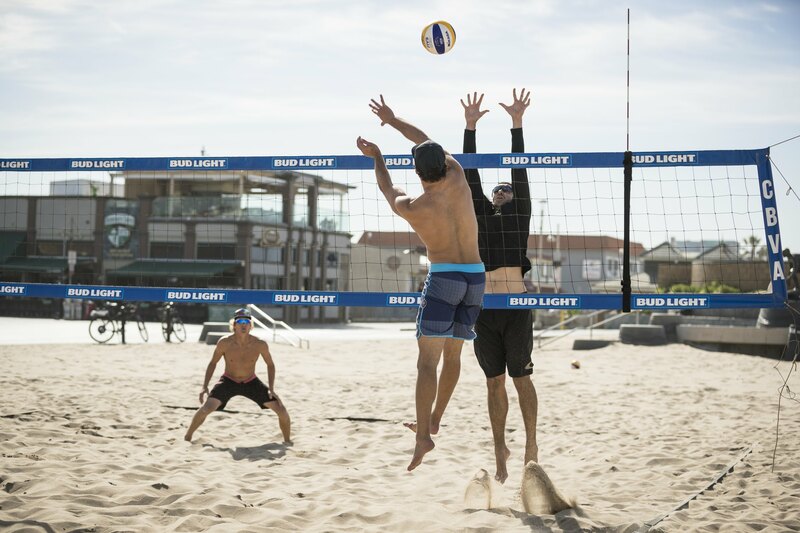 If you want to get some volleyball lessons and see what VolleyCamp Hermosa has to offer, check out the BOOK NOW section and come for a practice, a week or a month. I’d be honored to help you if I can.